Hi Everyone! 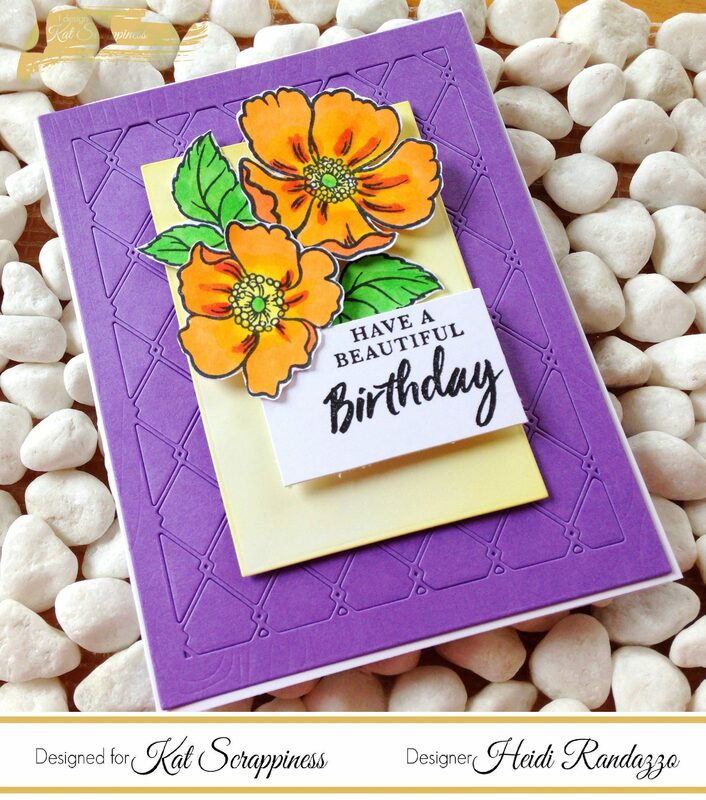 Today I have a bold and bright birthday card using the Wood Grain Framed Diamond Wire Die and some pretty blooms from Mudra’s Wild Rose stamp set. 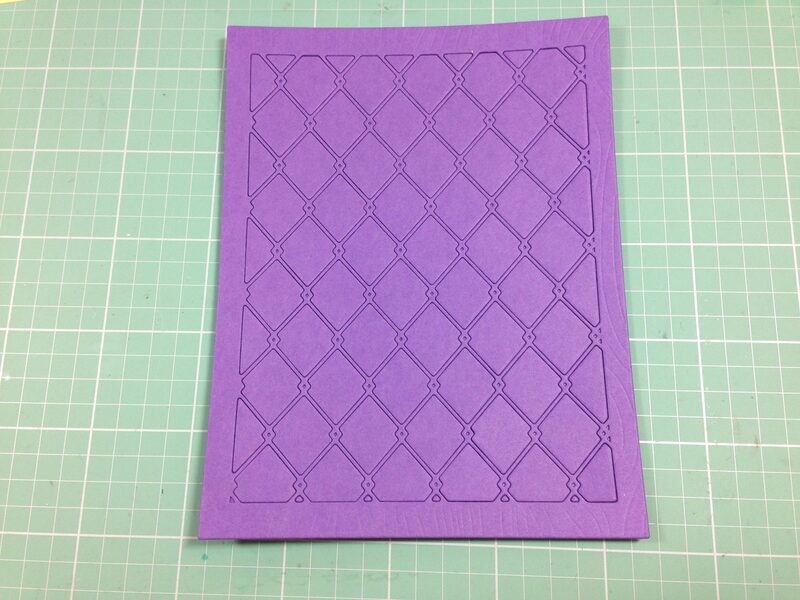 I started off by die cutting the background using Gina K. card stock and leaving the pieces intact. I love that you can get different looks from this one background die! 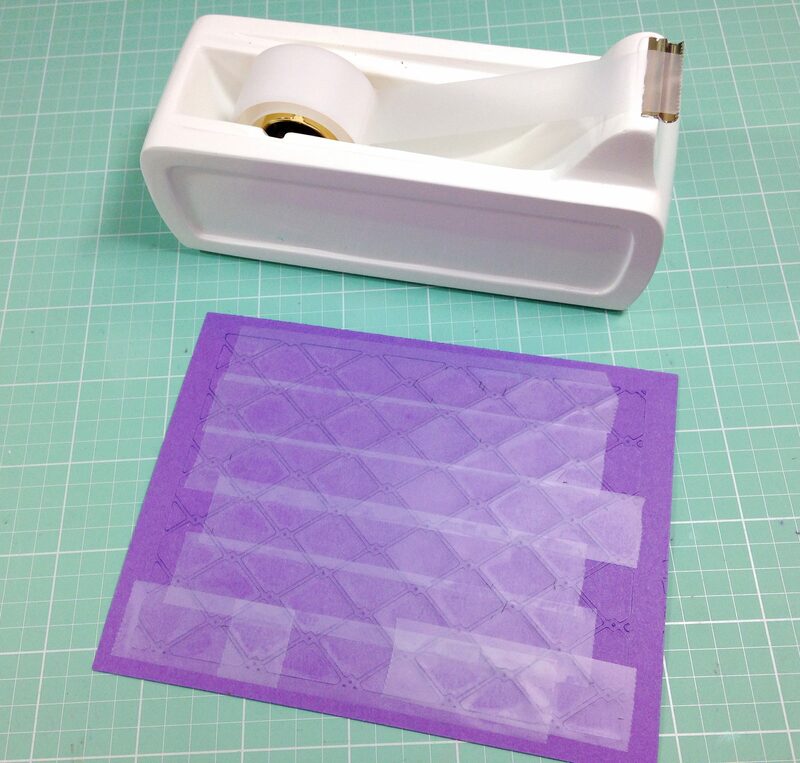 I used some tape on the back to secure everything. 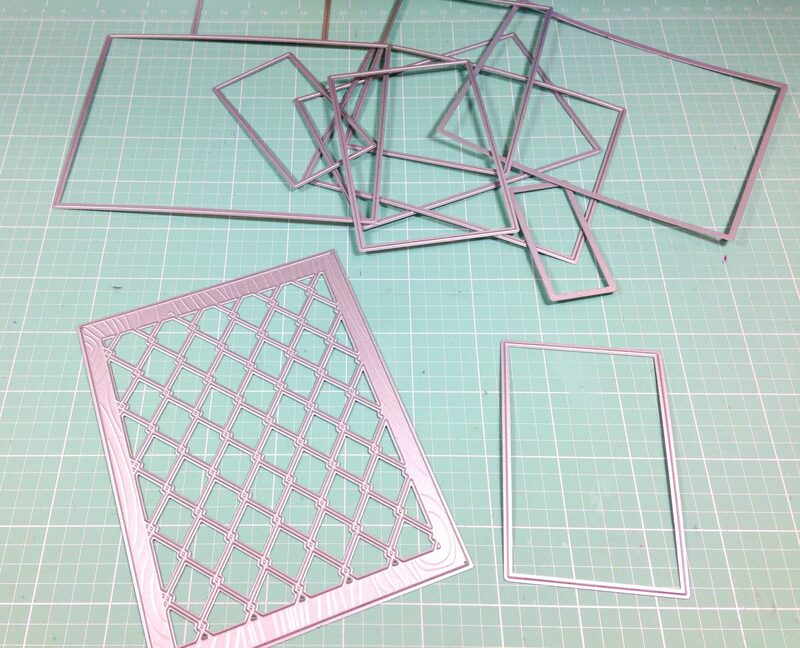 Next, I wanted to create a frame for my flowers, so I spread out my Never Ending Rectangle dies to find the perfect size. 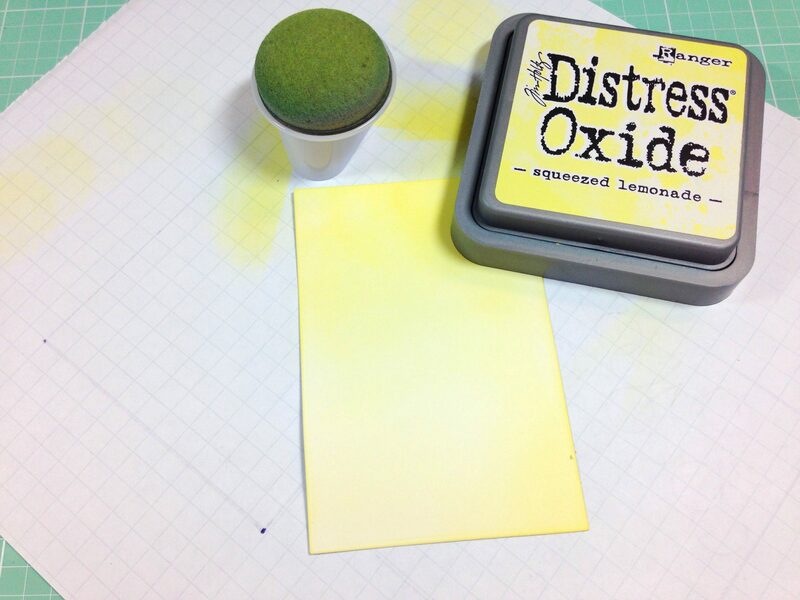 I blended some Squeezed Lemonade Distress Oxide Ink all over my chosen panel going from dark to light. 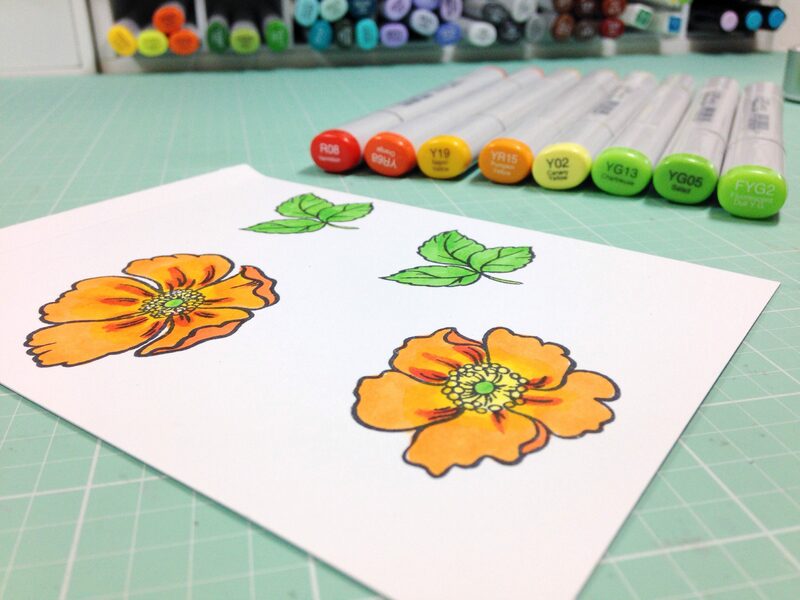 I thought orange flowers would look nice with the purple and yellow, so I used a variety of Copics to color my stamped flowers. A sentiment from Hero Arts finishes the card. Thanks so much for joining me today. Be sure to head over to the Kat Scrappiness shop and feel free to use my coupon code: Heidi10 to receive 10% off your purchase. Have a great day! Zig Zag Dies – Hearts, Squares, Circles, Ovals, Rectangles, and Borders – Oh My! 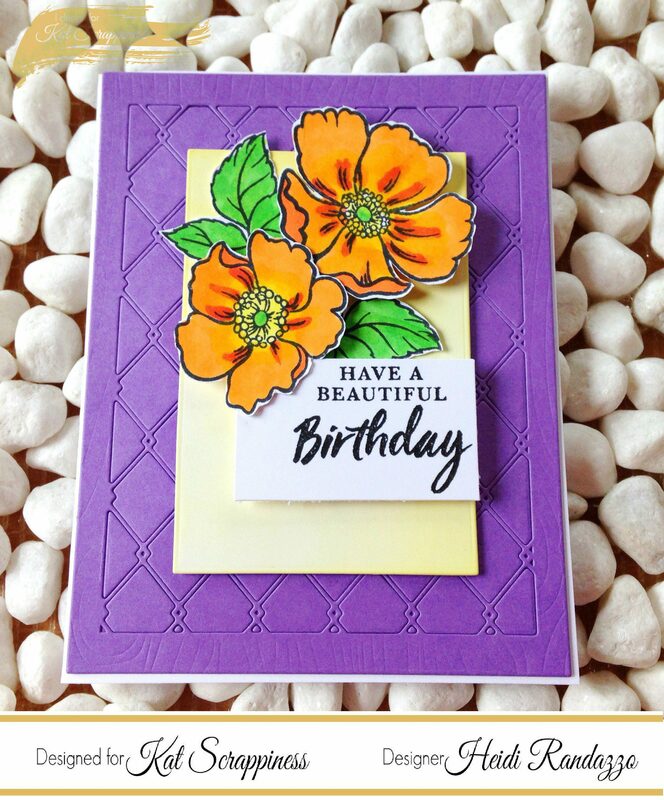 Very pretty card, love the bright colors you used.